In which John Green discusses the idea of radical hope and how the Miami Miracle irrevocably shaped his worldview. Good morning Hank it's Tuesday. On November 23rd, 1984, I watched a college football game between Boston College and the University of Miami. In general, I didn't care much about sports--I was not, you'll be surprised to learn, a particularly athletic child. But this game held my attention--so much so that I started crying when, with less than thirty seconds to go in the game, Miami took a seemingly insurmountable lead. 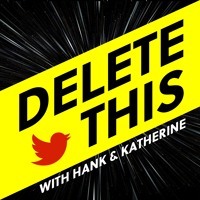 But then Boston College's diminutive quarterback Doug Flutie threw a 52-yard pass to his roommate and best friend Gerard Phelan, and Boston College won the game in what came to be called the Miami Miracle, and my dad threw me in the air, and I felt the purest joy I'd ever known and in a way, most of what I've done in my life since has been an attempt to understand, celebrate, and/or re-create that moment. I'm after the feeling that Al Michaels had when he famously exclaimed, "Do you believe in miracles? YES!" Like, I am very interested in what's called radical hope, the idea that existential hope is available to all people at all times. It's kind of the founding value of my belief system, and I'm pretty sure I believe in it not because of theology or philosophy or whatever, but because I have seen with my own eyes that even when there is not really much cause for hope, hope is still the correct response to the human condition, as evidenced by the ridiculous and beautiful hope of Doug Flutie and Gerard Phelan. Of course, I know there is nothing miraculous about a completed hail mary, or the U.S. defeating the USSR in hockey. By definition, improbabilities usually don't occur but occasionally do. I’m not looking for anything supernatural; I just want to have hope, and more than that, to be unalone in that hope. For me, there is nothing like being in a virtual space or real room or stadium with people whose hope is oriented in the same direction as mine, and who love the same thing I love. I don’t think you need to get that feeling from sports—you can get it from concerts or book clubs or by being heavily invested in Martian rover landings. But ultimately this urge to find and share hope is why I write and make videos and work in my garden, and it’s also why I sponsor the third tier English soccer club AFC Wimbledon, who wear DFTBA on their shorts, and who have shown me again and again that hope is the thing with feathers that perches in the soul and sings the tune without the words and never stops at all. Wimbledon have had an extraordinarily difficult season—they are in last place in their division, facing the prospect of being relegated into the fourth tier of English football. But somehow amid this disaster, they made it to the fourth round of a different competition, called the FA Cup, where they faced off against West Ham United, a premier league team that has the distinction of being the only football club mentioned by name in the Harry Potter books. West Ham have several individual players who make more money per year than AFC Wimbledon’s entire annual budget. And yet…Kwesi Appiah scored (in front of the john green stand, you’ll note) to put Wimbledon 1-0 up, and then Scott Wagstaff tore through West Ham’s defense to create a breakaway and then finished as calmly as you like to make it 2-0, and then Scott Wagstaff scored again, and then 19-year-old Toby Sibbick scored, and AFC Wimbledon beat West Ham 4-2, and in a basement in Indianapolis I found myself in tears, overwhelmed with gratitude for the football club that had again shown me the meaning of life. It is never wrong to be hopeful, and anyone who tells you otherwise just hasn’t watched enough AFC Wimbledon games. The FA Cup is now down to its final sixteen teams, and Wimbledon is among them. In the next round, we’ll face off against Milwall, a club a division ahead of us. We can’t possibly win that game, of course. Or can we? Hank, I’ll see you on Friday. p.s. 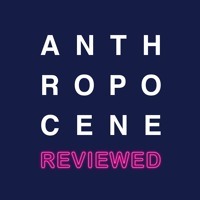 three things: First, I wrote a defense of sports in general and penalty shootouts in particular on the most recent episode of The Anthropocene Reviewed; a new episode comes out Thursday. Second, if you’re interested in our book club Life’s Library but didn’t get to sign up before, there are a few slots open now at lifeslibrarybookclub.com; and lastly if you’ve ever wanted to be part-owner of a third tier English football club, there’s never been a better time. For 25 pounds a year, or around 30 dollars, you can become a member of the Dons Trust, which owns the club, and make AFC Wimbledon’s next miracle your miracle. Links in the dooblydoo below!